In 2015, the Union government amended the Mines and Minerals (Development and Regulation) Act, 1957, to set up a District Mineral Foundation (DMF) in every mining district of the country. The idea was to create a mechanism to share mining revenue for the benefit of mining-affected people in these districts. Two years on, the DMF coffers are flush with funds, but have the people benefitted? To understand this, Delhi-based non-profit Centre for Science and Environment (CSE) undertook the country’s first independent evaluation of DMFs. The evaluation covered 50 big mining districts in 11 states. The results show that money has started to flow in and some districts are putting it to good use, but a majority of the districts are still lagging. The Act mandates that DMFs, to be established as non-profit trusts, should “work for the interest and benefit of persons and areas affected by mining related operations”. The mining companies are required to pay a sum—determined on the basis of their royalty payments—to the DMF trust of the district. For all major minerals (such as coal and iron ore), the contribution is 10 per cent of the royalty paid to the state government for mining leases granted on or after January 12, 2015, and 30 per cent of the royalty for leases before that. For minor minerals (such as sand and stones), the payments are decided by the states. The Union government also launched Pradhan Mantri Khanij Kshetra Kalyan Yojana (PMKKKY) in September 2015 to implement developmental projects and welfare programmes in mining-affected areas using funds generated by DMFS. The scheme seeks to negate the adverse impacts of mining on people and the environment, and create sustainable livelihood opportunities for those affected by mining activities. According to the Union Ministry of Mines, till February 2017, the DMFs across India had received about Rs 5,800 crore. 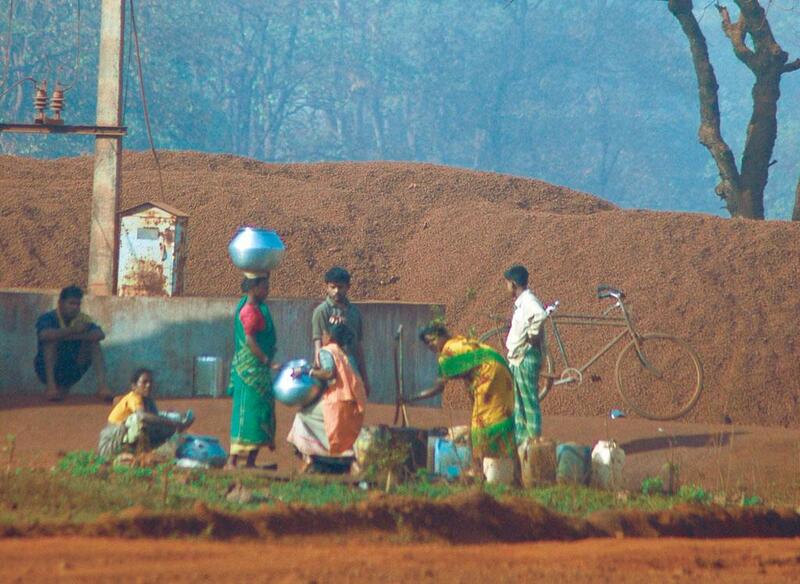 Of this, Rs 5,469 crore have come from just 50 big mining districts, shows CSE analysis. The amount is huge. The erstwhile Backward Region Grant Fund, the only centrally sponsored scheme for the development of backward districts (discontinued in 2016), had a similar budget for 250 districts. And the DMF coffers will only grow because states, such as Uttar Pradesh and Tamil Nadu, only recently framed their DMF rules and many districts are yet to receive the expected contributions from mine lease-holders. As such, DMFs have emerged as powerful institutions for the development of mining areas. 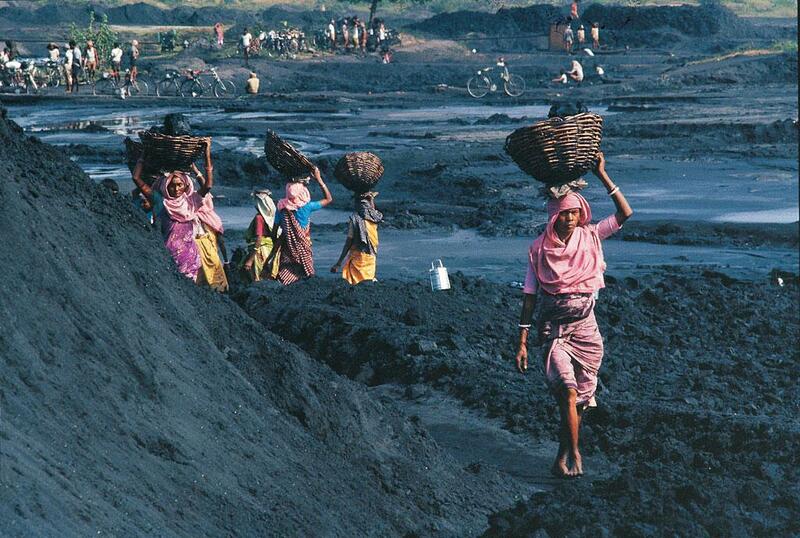 The fund is a bounty for the top mining states—Odisha, Jharkhand and Chhattisgarh. These states account for close to 70 per cent of the total money deposited in DMFs across the country. Odisha is at the top, with a collection of Rs 1,932.5 crore. This is more than the state’s total budgetary allocation for the ST & SC Development, Minorities & Backward Classes Welfare Department in 2016-17. Odisha is followed by Jharkhand with Rs 1,056.2 crore and Chhattisgarh with Rs 1,042 crore. Madhya Pradesh, another key mining state, has a significant collection of Rs 979 crore, largely owing to the Singrauli district which has coal mines. So, how is the money being spent? The key determining factors related to DMF implementation are institutional arrangements and planning. On both these fronts, most districts have just taken their first step. As per the DMF Trust Deed circulated by the Union Ministry of Mines and DMF rules made by the states, DMF trusts should be run by a governing council and a managing committee. The law also calls for a DMF office and a website to put all DMF-related information in the public domain. The target is to develop annual plans to serve immediate and long-term needs of the people of mining affected areas through participation of local communities. CSE analysis shows that while all districts have set up governing councils and managing committees, no district has set up offices. Till the end of March, 20 districts said that they had started the process of setting up offices. The analysis also found that only 48 per cent of the 50 districts have registered their DMFs as trusts. Experts say that getting the trust registered will make it a legal entity and ensure transparency and accountability. Planning fund utilisation is the most neglected part of DMFS. Except for a few districts in Chhattisgarh, Odisha, Jharkhand and Madhya Pradesh, the process has not started in most districts. Even in Chhattisgarh and Jharkhand, the state governments had to issue directions because of the delay by the districts in making DMF plans and allocations. To understand the overall performance and usage of the fund, CSE analysed nine districts in which planning, identification of projects and allocation of funds under DMFs has been done. These districts are Dantewada, Korba and Raigarh in Chhattisgarh; Kendujhar, Sundargarh and Jharsuguda in Odisha; West Singhbhum and Dhanbad in Jharkhand; and Singrauli in Madhya Pradesh. The analysis showed that most of these districts have allocated funds to “high priority” issues identified under the respective state DMF rules. Drinking water, education and healthcare are the issues that have received focus of all the districts. But there are considerable variations in the allocations. For example, Dhanbad, a highly polluted coal mining district, has allocated 62.5 per cent of its DMF budget for clean drinking water, which will be provided through a network of pipelines, and on rejuvenating water bodies. Singrauli, on the other hand, has earmarked a negligible 0.9 per cent of its DMF budget for drinking water and the money will be used for digging tube wells. Considering the high levels of groundwater contamination in mining areas and the low water table in most parts, investing in tube wells will do little to ensure clean water supply. The focus should be on sustainable water supply measures from surface water and other natural sources through proper planning. Similarly, Dantewada has allocated over 20 per cent of the education component of its DMF budget to be spent over the next three years on initiatives like hiring local teachers on a contractual basis to overcome shortage of staff and developing primary education in tribal languages. In contrast, Kendujhar allocated its entire education budget for 2016-17 to construct additional classrooms in schools. There was not much focus on recruiting trained staff or giving monetary assistance to under-privileged students. On issues related to women and child welfare, the focus was primarily on the construction of anganwadi centres. There was little or no investment in primary healthcare, which is crucial to improve the health and nutrition status of children and women. In fact, in most districts, investments towards improving primary health-care remain very low. Singrauli, for instance, allocated 0.6 per cent of the budget or just Rs 1.7 crore to child and women welfare in 2016-17. The infant mortality rate of the district is 67 while the mortality rate of children under five is 112. About 35 per cent children in the district are malnourished. And the plan has budgeted 0.1 per cent of the fund for nutrition enhancement. What’s worse, the district allocated more than 63 per cent of its DMF budget on the construction of roads and bridges, flouting PMKKKY guidelines, which say that not over 40 per cent of the money should be spent on such projects. CSE evaluation makes a case for a course correction in the way the scheme is being implemented. And the key message is: plan, plan well and plan in an inclusive way. First, DMFs must distinguish between immediate and long-term development needs. While the immediate need should get priority funding, the long-term needs should be built into the plan with a perspective of three to ten years. Second, the plans do not appear to have been well thought out, as was evident in the case of drinking water projects. In most of the districts the plan was to spend on supplying groundwater (which is already polluted) for drinking. This must change and DMFs must adopt a scientific approach. Third, many plans have budgeted for activities that should have been funded by the general budget of the state such as big roads and bridges. DMF plans should rather converge with other government initiatives to add value to them. DMFs can be a huge help in addressing the deprivation and inequality afflicting the people living in mining areas. But they will succeed only if they are made relevant to the people, who must be made part of the process. Transparency and accountability in operation are the key words.